1. Confirm the size and installation position of LED lights, then marked. 2.Drill some LED holes on the car body. 3. Insert all the cables to the corresponding sockets of the LED System Control Board. 4. 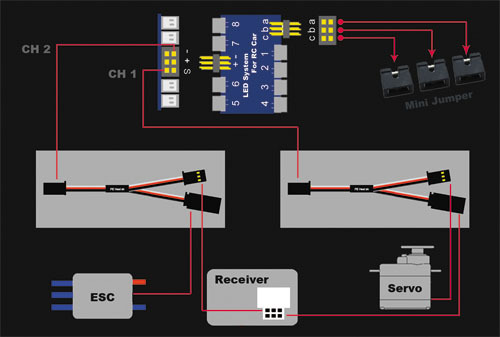 Connect the Y-cable (CH1) long end with the LED System Control Board (CH1), two short ends with the steering servo and receiver“channel 1”. 5. 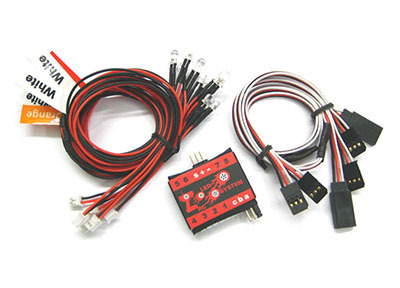 Connect the Y cable (CH2) long end to the LED System Control Board (CH2)，two short ends to the throttle servo（ or ESC）and received “channel 2”. 6. 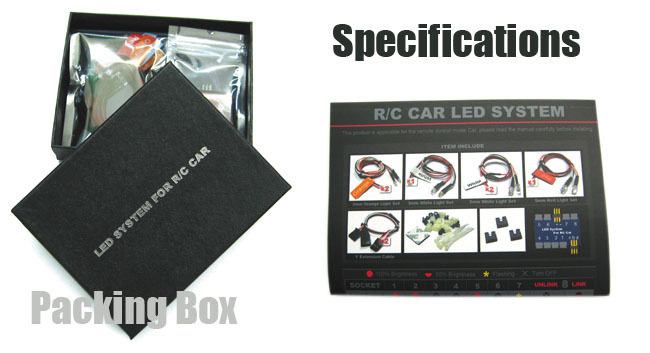 Stick the LED System Control Board on a suitable position of the car body. 7. Fix the LED lights into the holes and make sure it is installed firmly. 8. Fix all the overlong cables with the accessories.